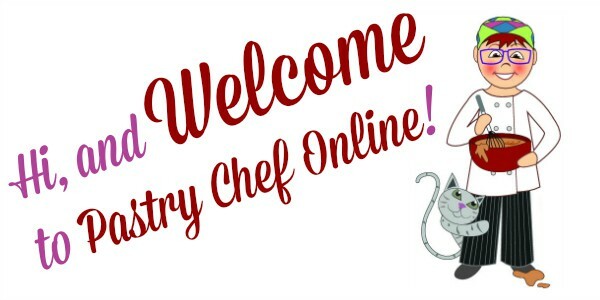 2.2 Click NEXT to learn how to whip cream by hand. I’m so glad you’re here! I am here to teach you how to whip cream by hand. I’ve whipped gallons of cream by hand (a little at at time! 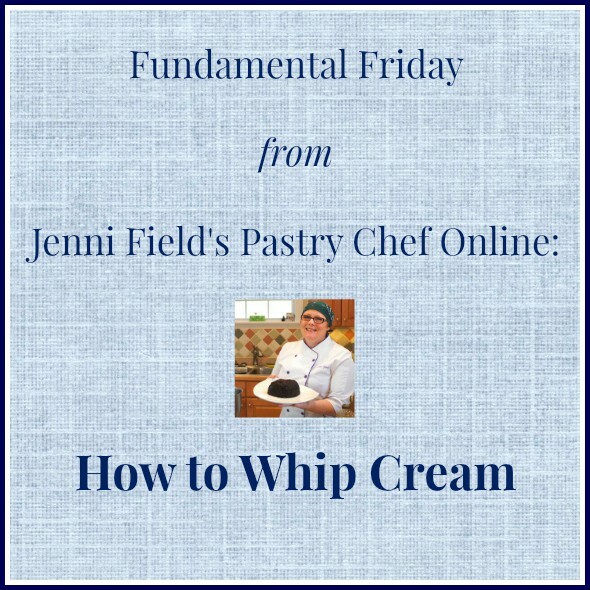 ), and I promise you that it’s not hard to do and, since you can easily control how fast you are whipping, you might even end up with a more stable whipped cream! It seems as though most “recipes” for whipped cream start with either a big old stand mixer or at least a hand mixer. For large amounts of cream, that’s fine. 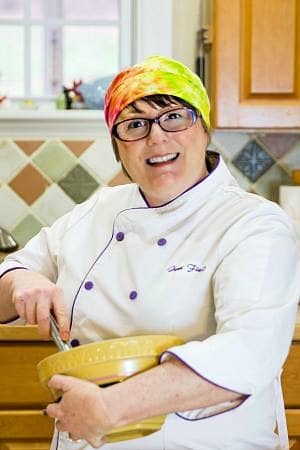 But you can whip up to a cup or so of cream with no more than your balloon whisk, a good, sturdy bowl, and some elbow grease. Here’s a secret: warmer cream whips faster than cold cream. I’m not saying this is a good thing. It’s just something you should know. The purpose of getting everything–the cream, bowl, beaters, etc–super cold before whipping has more to do with the plasticity of the butter fat in the cream than it has to do with the speed of whipping. Since butterfat is firm at refrigerator temperatures it takes longer to whip air into it, but the resulting foam will be much more stable. Whipping room temperature cream will yield a thick cream very quickly, but since you haven’t had a lot of time to pump air into it through whisking action, it will collapse pretty quickly. You also run way more of a risk of ending up with butter when whipping warmer cream. Here’s another secret: a whisk with more wires/tines will whip up cream or egg whites faster than one with fewer. Also, a rounder shape is better for whipping than a more compact shape. The more wires, the more you can agitate the cream and whip air into it. A big round whisk will also help you get more air into your cream more quickly than a whisk with a more compact shape. If you are looking for just one whisk to own, buy a balloon whisk. Click NEXT to learn how to whip cream by hand. Yay! Someone else does this! I’ve been known to take a container of whipping cream and a stainless steel bowl to a pot luck as part of dessert, or to produce them in our own kitchen when we have company. Each person takes a turn at whisking and in no time the cream is done. Best of all, while everyone’s taking their turn with the whisk, we all get to socialize. Great fun. And so many fewer dishes to wash too! It’s a win-win, for sure, Beth! LOVE this idea. We began making our own whipped cream about 2 years ago. Today, I branched out and made butter! I goggled it to get an idea of what I was suppose to do. But I would love it if I could go to you, a trusted source, when I feel like branching out! Hooray for branching out! Happy to help however I can, Anne! Fantastic! I always whisked around and around in the bowl – and it took forever! =) Glad you found this helpful, Art! Yay! I saw you do this in one of your videos and I have adopted the same practice for smaller amounts of whipped cream – so easy! oh…like the idea of fundamental Fridays! I’m so glad, Jo-Anne! I think it’s important for me to share the basics; the building blocks. If you have a request, feel free! Great idea! I’m not sure it fits in with pastry stuff, but I’m always looking for videos and pictorials on how to use a knife. I am sure that even after all these years I’m not doing it right. It seems to take half an hour to chop an onion! I can definitely point you in the direction of some good videos that show sound technique, Jenny! With small amounts of cream, my big ol’ Kenwood Major is just too big and the whisk doesn’t reach far enough into the bowl to do a thorough job. Love your little tips, Jenni! I think Fundamental Fridays sounds like a great idea. I’ve been following yours posts onfacebook for a while now and I think Fundamental Friday is a brilliant idea. Oh and… I also need some structure to relate to so I love the idea od dedicating days to each type of post. You know what Fundamental I could use some help with? Browning butter. I seem to have mastered both dry-method and wet-method caramels and rarely screw them up any more, but for some reason when I’m making browned butter I go over the edge and ruin it almost 5 out of 10 times. And I love browned butter in baked goods! Cool cool cool! I need guidance. Ha! I shared this post on my Life’s a Feast FB page and told my readers that if they came here and read your post they would learn something. I came over and I learned a lot!! I love these posts!